Welcome back to the last day of Stamp Highlights! Today we are looking at Pamela's adorable bunny in Pix's Favorites! Pamela paired the sentiment from Oh Happy Birds with Valentine's Pix to create a sweet (and very pink!) card for her hubby. Anan used Framed Tags - Columbus Circle CC to make a focus on pretty bunny portraits. We love Laura's sweet scene using the Framed Tags - Columbus Circle. 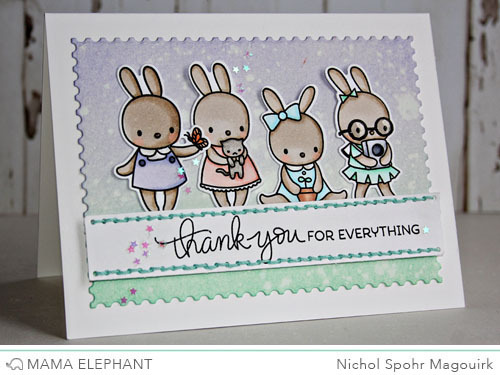 Nichol's created a soft and sweet thank you card with the adorable Pix's Favorites bunnies. 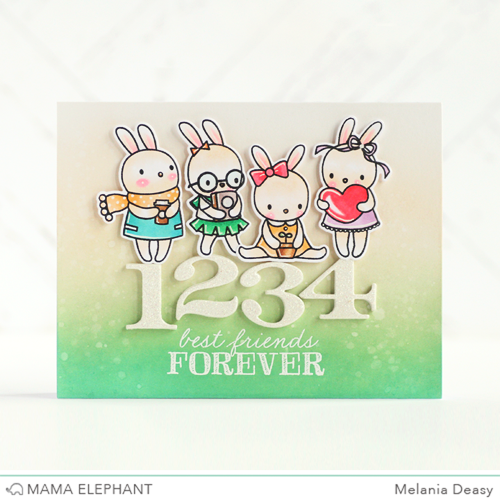 Vera created a Thank You card for BFF (Bunnies Friends Forever). Love Pix she is so very adorable. Hope we get to see lots more of her in the future too! Love everyone of these cards, super cute. The bunnies are definitely adorable. Great cards by everyone. Awesome n Super Adorable cards ! So so cute! I love these cards! These bunnies are so adorable! I love each and every card! The receivers are going to like them too. So many cute cards! 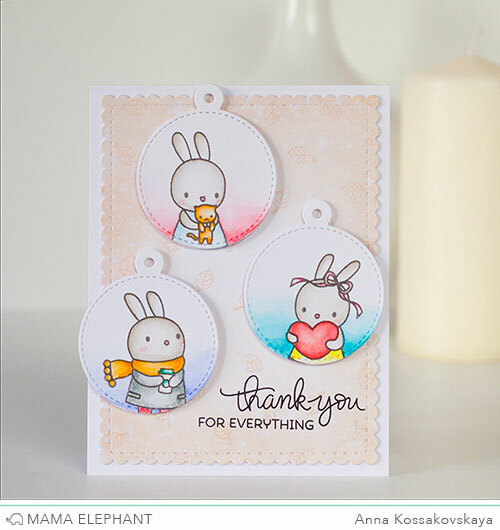 Pix's favorites is an adorable stamp set! I had to have this. Bought it immediately! 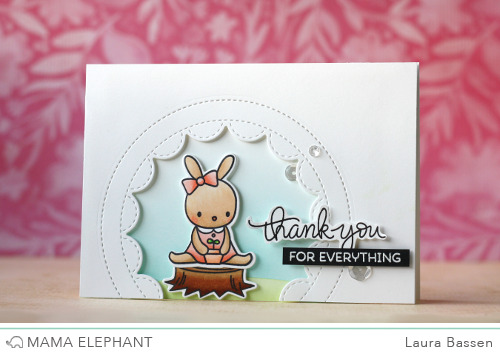 Really cute cards ladies, and another 'Home Run' for Mama Elephant!